Gareth Bale scored a hat-trick to give new manager Zinedine Zidane a perfect debut. 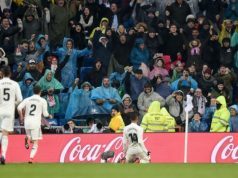 The Santiago Bernabeu fans smiled again as Los Blancos trashed Deportivo de La Coruna 5-0, with goals from the Welshman and a brace from Karim Benzema. Bale was reportedly upset by Rafa Benitez’s dismissal, but he looked happier than ever after completing his best game since he arrived at Real Madrid. The team played with great confidence and motivation from the start. 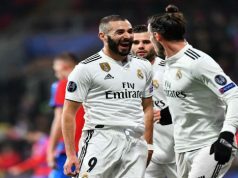 After only 15 minutes, Karim Benzema made it 1-0 as he back-flicked the ball home from close range after Ramos had recycled the ball from a corner. 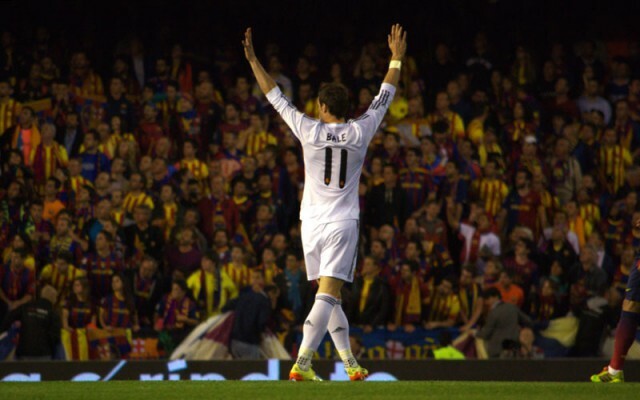 Seven minutes later, Bale got his first goal of the night heading a Daniel Carvajal cross into the back of the net. It was a pleasant start for Zidane, who looked very happy in the bench. Los Merengues were close to making it 3-0 before the break Bale chipped a wonderful cross onto the head of Ronaldo, but the Portuguese’s header hit the post. 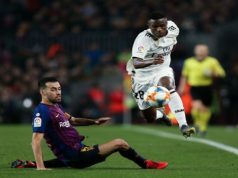 Real had their third at the start of the second half as Ronaldo delivered onto the boot of Bale, who angled his effort into the bottom corner with a brilliant finish. The Welshman has his third of the evening as he rose inside the box to power a Toni Kroos corner into the back of the net with a perfect header. In stoppage time, Ronaldo missed a big chance after a cut-back from Jese, but Benzema was on the scene to fire home off the crossbar.